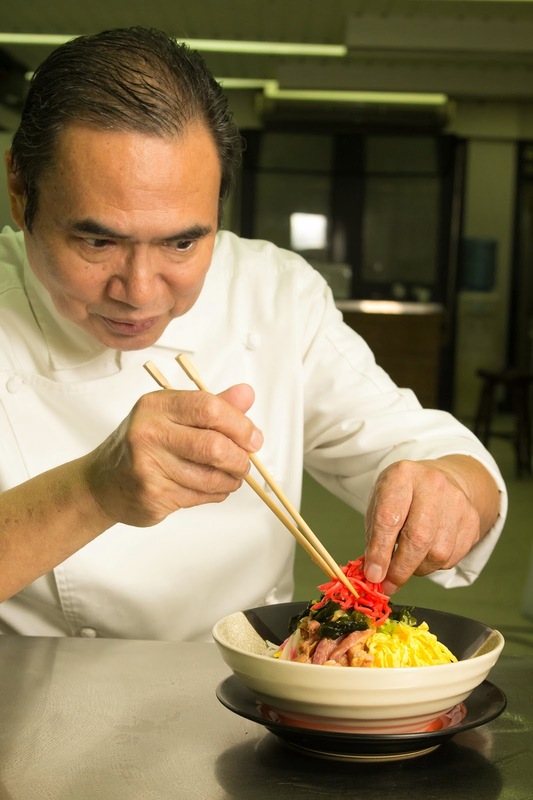 On February 15, 2014, witness Chef Seiji Kamura as he share his trade secrets about ramen and other popular Japanese dishes such as hiyashi chuka and tonkatsu at The Maya Kitchen. He will also conduct the advance cooking workshops in Japanese cuisine scheduled for February 12, 13, and 14 (Wednesday to Friday) from 10am to 2pm which will include appetizers of Sushi, Sashimi and Gyoza; fried dishes of Tempura, Nabe cooking or Hot pot cooking and Japanese cold desserts of homemade ice cream and others. Chef Kamura will demonstrate the following: Miso Ramen, Hiyashi Chuka or cold noodles, Chachu or Japanese asado, and Tonkatsu. The Japanese chef has made Philippines his home and has high respect for the local cuisine and culinary scene. He wrote two books for The Maya Kitchen entitled: Japanese Cookbook for Filipino and Secrets of Japanese Cooking, a culinary consultant and chef demonstrator. He attended the Tokyo Cooking Academy and trained in Lyons, France. For more information, log on to www.themayakitchen.com or e-mailcontactus@themayakitchen.com or visit The Maya Kitchen Culinary Center every Tuesday to Saturday at 8F Liberty Building, 835 A. Arnaiz Avenue (Pasay Road), Makati City or call 8921185 / 892-5011 local 108.